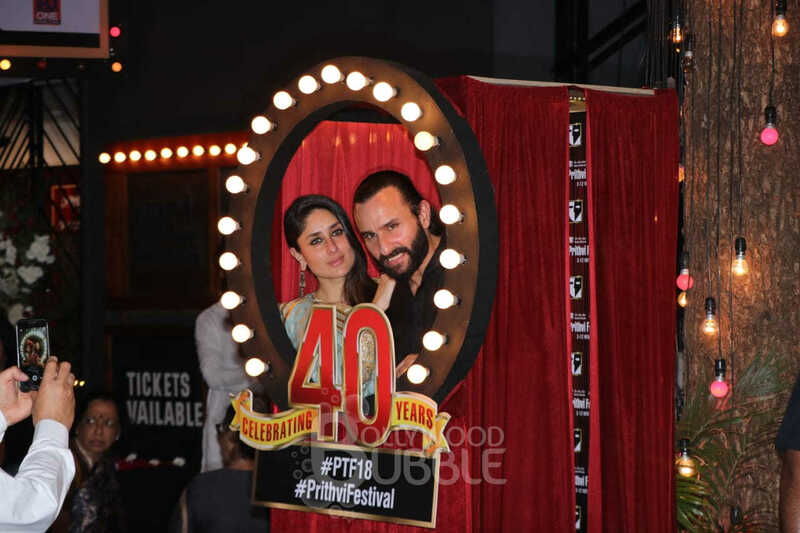 Bollywood's royal couple Kareena Kapoor Khan and Saif Ali Khan made a grand entry at the iconic Prithvi theater that is celebrating its 40th anniversary. 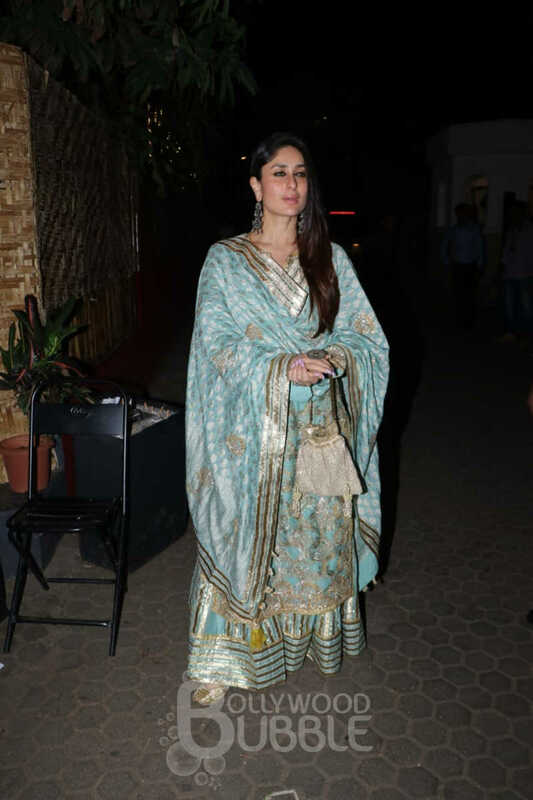 Kareena Kapoor was seen in a blue and gold ethnic attire that she had accessorized with a pair of earrings, golden jootis, and a potli bag. She looked like a true blue royal. 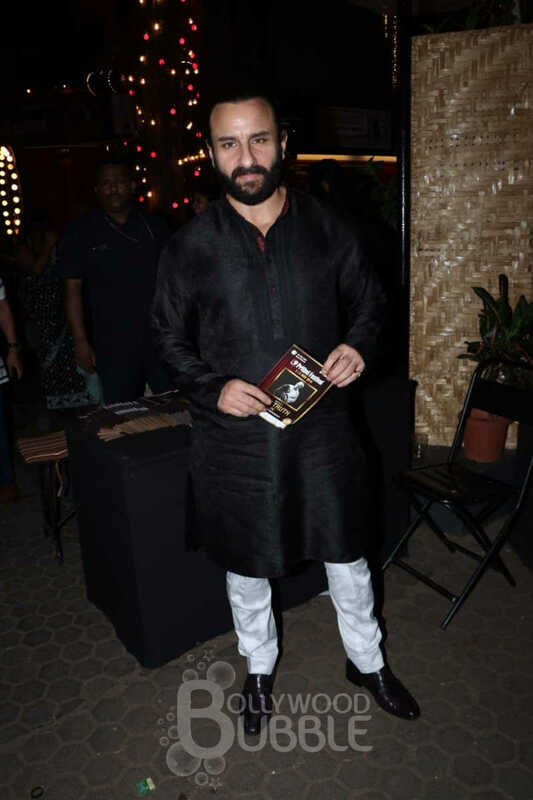 Saif Ali Khan oozed royalty in a black kurta and white pajama with his hair tied neatly in a pony. 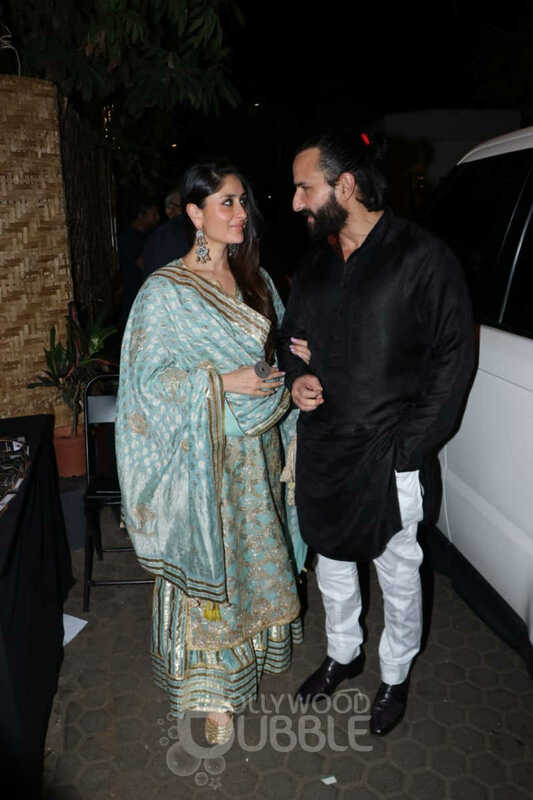 The Nawab was the cynosure of all eyes at the party. The couple was seen having much fun at the photo booth as they posed together inside it. They truly enjoyed their time at the party. Aren't they looking extremely gorgeous here? On the work front Kareena will next be seen in 'Good News' and 'Takht'. 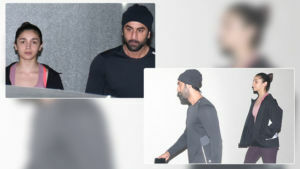 Saif is currently busy with 'Sacred Games' season 2 and 'Hunter'.